The City of Dallas City Council votes today on a flow control measure that would require all waste generated in the city to be dumped at the city's McCommas Bluff Landfill or one of the city's transfer stations. The city sees the plan, which would direct an additional 900,000 tons per year of waste to its landfill, as an opportunity to enhance its recycling rates and energy recovery, both from increased landfill gas and later from gasifying a portion of the non-recoverable waste. It would also mean about $15 million more per year in revenue for the city. The plan is strongly opposed by private industry which argues that requiring haulers to drive the longer distance and pay the higher disposal fee charged by the city will cost local businesses and consumers an additional $19 million per year. 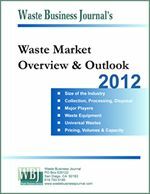 The National Solid Wastes Management Association (NSWMA) calls this a "ghost tax" and argues that flow control will create inefficiencies by directing waste away from a dozen or so area landfills that could be closer, and in turn, increases truck traffic, fuel use, and pollution. "Common sense tells you that trucking garbage farther to one of the area's most expensive landfills or paying an exorbitant tipping fee at a transfer station will increase costs," says Tom Brown, Texas Chapter President of the NSWMA. Brown argues that flow control violates the city Mayor's pledge not to raise costs to businesses. "We are asking Mayor Rawlings to be honest with our industry and our 17,000 customers and keep his pledge not to raise the cost of doing business in Dallas," said Brown. Meanwhile, an innovative recycling company is proposing to build and operate its own $100 million recycling facility located at the city's landfill that would capture 95 percent of the recyclable material received. The company, Organic Energy Corporation (OEC), said it could finance the facility with the city's commitment to provide the waste. In return, it would share revenues with the city on a 50/50 basis. That could equate to between $5 million and $20 million annually in added revenue for the city. "Dallas brings 6,000 tons of garbage every day to the Landfill", says Barney Gorey, VP of Public Affairs for OEC. "Even with the curbside recycling program over 3,500 of those tons are recyclable products which can be captured and sold." OEC's facility would employ existing technologies in configurations modeled after plants in Europe. The company also said it would create jobs and stimulate the local economy perhaps acting as a laboratory for advanced materials recovery andenergy recovery techniques. Organic Energy Corporation: What Is Resource Flow Control? What is Resource Flow Control? It's the ability of the city to mandate its garbage be brought to its landfill. What is an exclusive franchise agreement? It's the ability of a private company to mandate the garbage be brought to its landfill. Quite simply, there is absolutely no difference between Resource Flow Control and an exclusive franchise agreement between a City and a private NSWMA company. The NSWMA uses "flow control" with every exclusive franchise agreement it gets, so it can corner the market on the waste/resources. They can use their landfill to price fix, intimidate small local haulers, and control the market. If fact, the NSWMA has recommended "privatizing" the Dallas Sanitation Department's collection and disposal operations in the form of an exclusive franchise agreement. How ironic? Dallas however, can use Resource Flow Control to stop recyclables, about 2,500 tons of them per day, from being needlessly buried to the financial and environmental detriment of the city. This can happen with no increase in collection and disposal costs to the Dallas business community. Those 2,500 tons per day equal anywhere from $12.5 to $50 million annually for the City of Dallas, when separated and sold in the recyclables markets. But why is Organic Energy Corporation, a private company, interested in promoting Resource Flow Control for the City of Dallas? 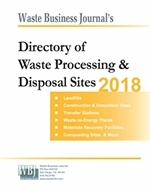 "There are approximately 5,000 tons per day of commercial waste, that is rich in valuable recyclable resources, being needlessly buried in private landfills," says Barney Gorey, Public Affairs VP for OEC. "We agree with the CEO of the largest waste collection, disposal and recycling company in the world, who recently said that his company valued trash at up to $200 per ton." He added, "We are the only company with patent pending separation technology who can recover these recyclables from the inbound municipal solid waste." According to Gorey, this has everything to do with the NSWMA's threatening letter to the Mayor and the City. "If you can't beat 'em, sue 'em" is their mantra." The stakes for this game include huge financial gains by monetizing the waste stream while becoming one of the most environmentally sound cities in America according to OEC. "We have the key to unlock the value in the waste stream and we want to equally share that money with the City. Wouldn't it be a novel idea if discarded trash could be the catalyst for economic and environmental development and sustainability in South Dallas," he asked. Does the NSWMA have any new business or environmental ideas for the city's waste? NSWMA Asks: Will Dallas Mayor Mike Rawlings Break His Promise Not to Raise Costs for Businesses? The National Solid Wastes Management Association (NSWMA) is asking Dallas Mayor Mike Rawlings to hold firm to his pledge not to raise the cost of doing business in Dallas. Rawlings has repeatedly said he wants to support local businesses and not raise their costs during these difficult economic times. "We were extremely disappointed to learn that Mayor Rawlings is supporting flow control a law that would require all commercial waste in Dallas be transported many extra miles to the city's single McCommas Bluff landfill in Southern Dallas," said Tom Brown, Texas Chapter President of the National Solid Wastes Management Association. "The NAACP, Paul Quinn College and the community have joined us in opposing this plan to create a city monopoly." "There are far better alternatives to flow control that will generate more revenue for the city by saving money through more efficient operations, generate more money for Southern Dallas and not cause prices to increase for struggling businesses," said Brown. "Those ideas need to be on the table now so they can be compared with flow control so the city can reach the best decision." "We have provided the Mayor with extremely detailed financial information including spread sheets, invoices, tonnage calculations, landfill prices and route information that clearly demonstrate that flow control will raise cost to businesses by 20 percent or more than $19 million a year," said Brown. "Common sense tells you that trucking garbage farther to one of the area's most expensive landfills or paying an exorbitant tipping fee at a transfer station will increase costs," said Brown. "The city has not presented a scintilla of evidence to support the ridiculous contention that costs will not rise due to flow control or that our industry would not have to pass those costs on to customers." "The city staff's own 'Fact Book' estimates costs will go up by 10 percent for North Dallas business," said Brown. "The Mayor didn't say it would be fine to raise costs for some businesses or that it was fine to raise costs but hope they would come down later," said Brown. "He said clearly he was opposed to raising costs for businesses." "We also hope that the Mayor will keep his campaign pledge to partner with businesses and let us work together for a better solution than flow control," said Brown. In his announcement to run for office Mayor Rawlings said: "I've learned that good leaders are honest ... honest in the way they deal with others, and honest in the way they assess challenges." "We are asking Mayor Rawlings to be honest with our industry and our 17,000 customers and keep his pledge not to raise the cost of doing business in Dallas," said Brown. "The Greater Dallas Chamber of Commerce, the Apartment Association of Greater Dallas, the President of Paul Quinn College and many others have asked the Mayor to allow further study concerning this issue," said Brown. "We hope the Mayor will respect their opinion and support further study on this issue."